Hey, guess what? 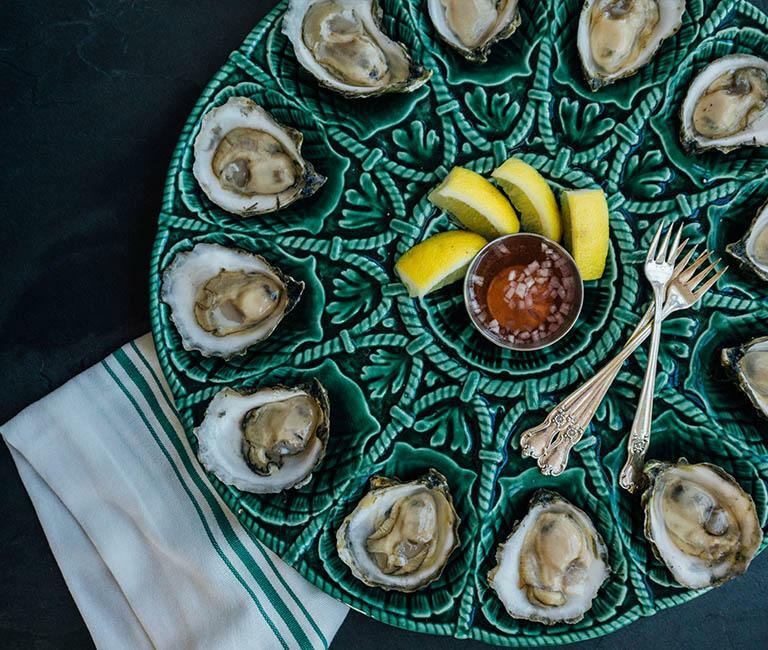 That oyster you’re about to eat had a cooler Tuesday than you did. No offense. 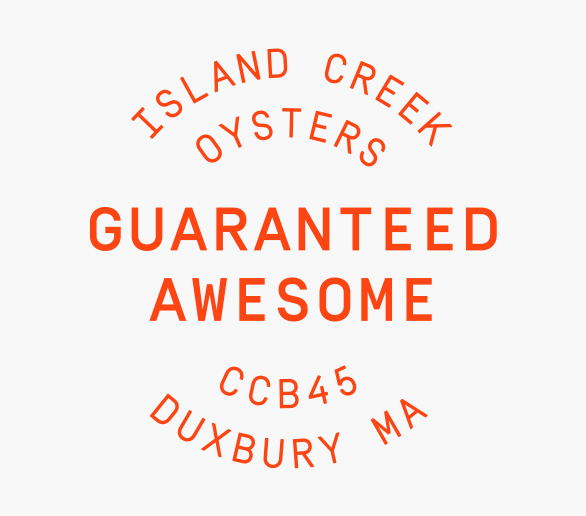 A week ago, I had the privilege of visiting the First Encounter Oyster farm in Eastham. Lows were hovering at a willful 19 degrees, with winds anticipated to reach somewhere in the 60-knot range. A dream of a day, really. I wore two pairs of socks. 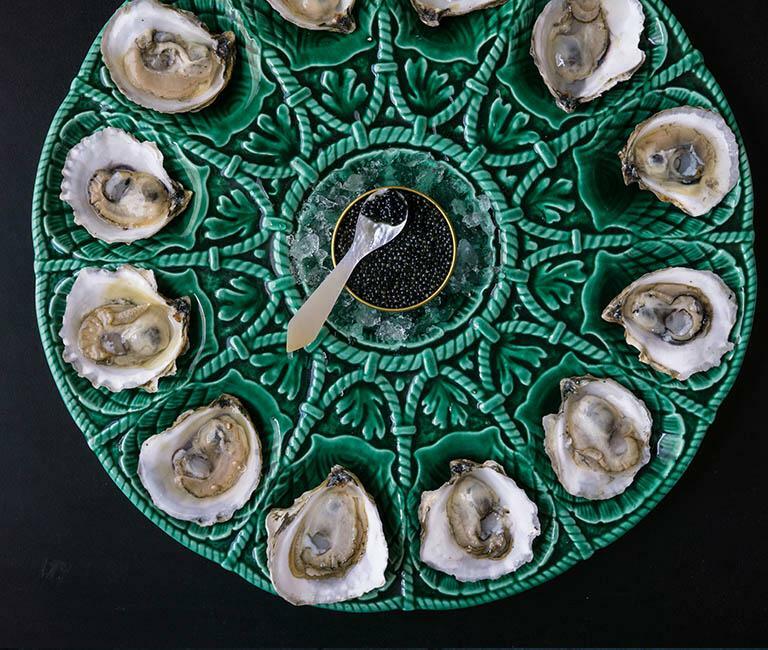 First Encounters are grown along the inner bicep of Cape Cod, where the nutrient-rich, glacial melt of the Arctic catches and swirls, creating a sanctuary for growing oysters (Wellfleet directly borders in the North). Summers cloak the beach with a blanket of tourists who hog all of the good parking spots in the lot, causing oyster farmers John, Bill and Peter to circle in their pickup until a free one opens up. The crew drags their hand-made gear and oyster cages past the curious eyes of said tourists sautéing on the sand; their flat-bottomed boat skips like a smooth stone across the bay at low tide. Cape summers are classic, blue-blooded beauties on the First Encounter farm, but the winter invites a more wild landscape. 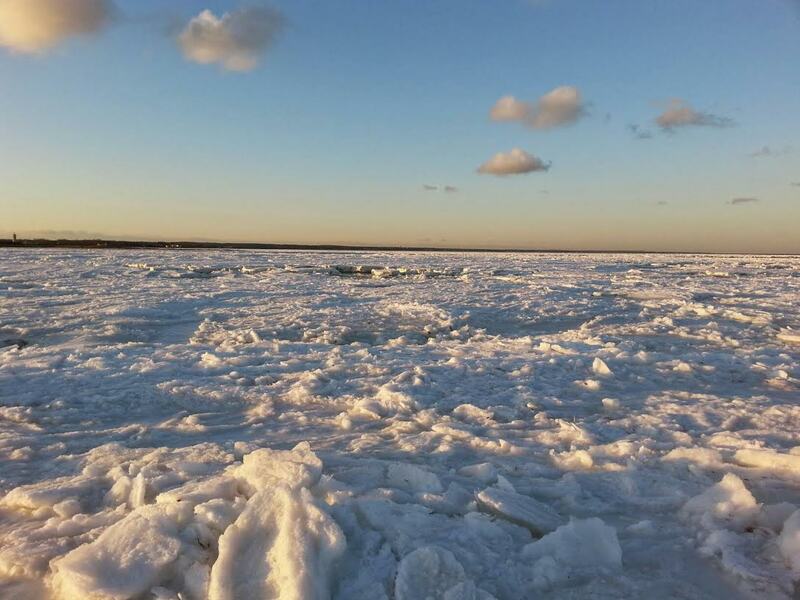 On the particular day of my visit in mid-January, the entire beach was a jigsaw of ice and snow making it impossible to access their grant, which is located over 900 yards off shore. To access their grant on more balmy days, they drive ATVs (All Terrain Vehicles) through hand-dug pathways in the snow. THEY HARVEST OYSTERS ON ATVs. Sorry, just had to get that point across. Eastham and other towns along the Cape constantly change in the wintertime. The persistent scrape of wind and water continuously alters the geography, texture, and energy of the land. Each vista is unique. While we also feel the ache of winter in Duxbury, the sandbar beach in its gracious sweep across the mouth of the bay, shelters us from many of the season’s woes that growers elsewhere experience. When I first worked for Island Creek on Skip’s farm crew, it blew my mind that there were so many small steps that go on behind the scenes of farming an oyster. I remember spending entire days sitting in a field, sniping at spools of bungee cord (used on racks and floating bags) and painting buoys neon hues until the fumes made my head hurt; Things completely outside my original definition of farming, but also completely necessary to the sole product…Much like gassing up an ATV, I suppose. 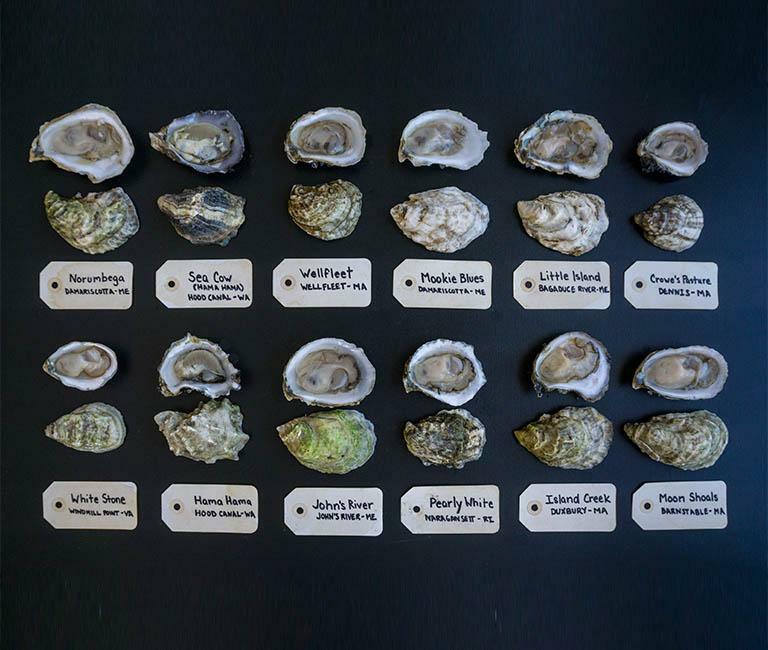 The next time you pick up an oyster, may it be First Encounter or otherwise, ask yourself how exactly it got to your table, what challenges the grower may have had to endure to get it there. The answers range from typical to stunningly odd. Grown on a swath of ice, or an estuary in Virginia? Transported by a full-time firefighter who moonlights as an oyster farmer, or a local on an ATV? Who knows. Every oyster has a story. Ever wonder what oysters do all winter?